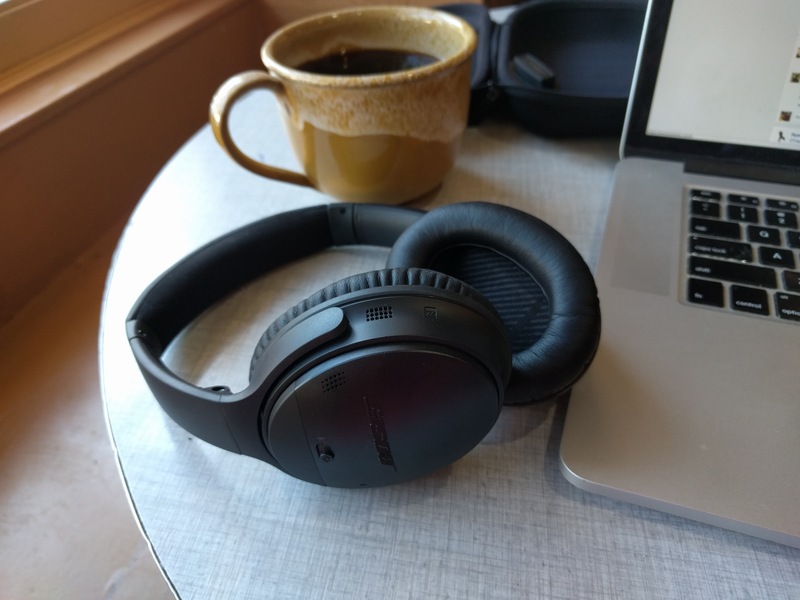 I’ve been living with the new $349 Bose Quiet Comfort 35s for the past week and not only are they amazing, but I can honestly say they’ve changed my life. 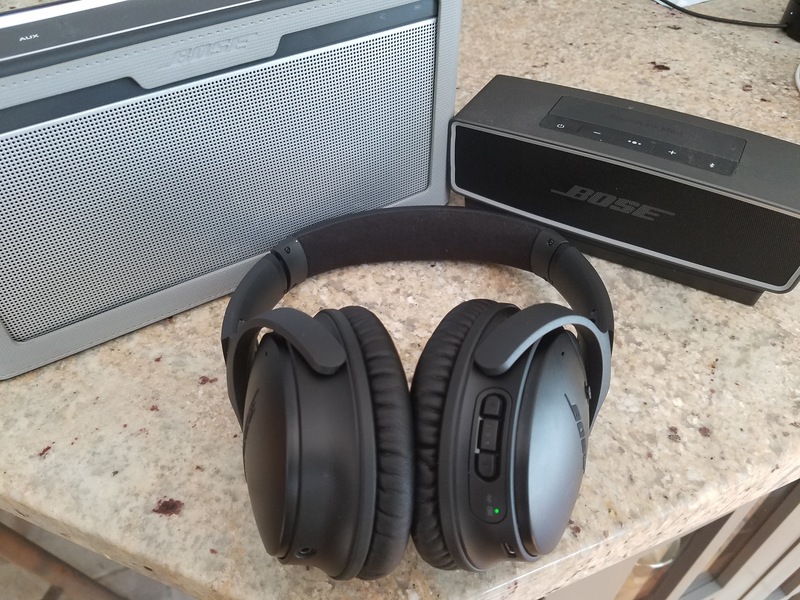 Announced last week alongside the $149 SoundSport wireless earbuds and immediately available for $349 in Black and Silver (I got black), Bose introduced the wireless Quiet Comfort 35s as a successor to the popular wired QC25s. 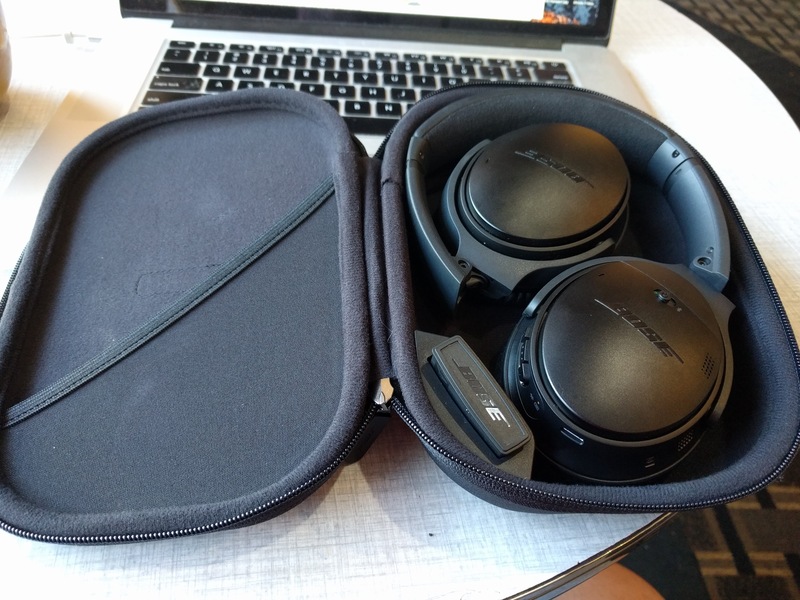 The QC25s basically set the standard for consumer noise cancelling headphones and are always found worn by professional travellers and strewn about the business and first class cabin of airplanes everywhere. Our QuietComfort 35 headphones offer the same unmatched combination of acclaimed noise reduction technology, audio performance and comfortable fit as QuietComfort 25 headphones. However, QuietComfort 35 headphones offer the convenience of wireless Bluetooth performance, as well as features like a dual-microphone system, voice prompts, intuitive controls and a 20-hour battery life. They also have the added benefit of volume-optimized EQ, which ensures Bose quality audio at all volume settings. Of course the QC25s were wired with AA battery-powered noise cancellation that set the industry standard when they were released two years ago. Those follow the Qc15s, which were released in 2011. Other consumer makers have followed with their own noise cancelling technology, including Apple’s Beats, but Bose QC are generally considered the best in noise-cancelling headphones. This was my first long trial with Bose headphones of any kind. @llsethj Bought the headphones you reviewed for the productivity benefits. Makes my coworking space so much better. Thanks for the review! Incidentally, I am a small aircraft pilot – or I was a few years ago – and doing that, I got to try and use a bunch of very expensive professional pilot NC headsets which cost thousands of dollars that aren’t noticeably better than these. The QC35s look very similar to the 25s but are in fact slightly heavier, owing their extra weight to the extra wireless electronics that moved from the cord to the headset. Practically, that weight is almost indiscernible seconds after putting the QC35s on. The head band is slightly bigger than its predecessor which adds to the perceived stability of the headset and overall comfort. I spend a great deal of time working in coffee shops or at home with the ambient noise of people all around me often distracting me from my tasks at hand. In fact, as I write this, I’m with my kids at the local watering hole (designated adults are watching them). When you slip on the QC35s, the ambient noise disappears. Even before hooking them up to a Bluetooth device you can feel all of the noise just fall away. The silence is almost deafening and jarring at first. It’s like walking into the type of room with pointy foam walls where hearing tests, radio broadcasts or smartphone testing are done. At home, the sounds of the refrigerator, the air conditioner, fans, the nearby road noise, birds, wind, etc. all disappear. You are alone with your thoughts. If your wife and kids are chatting in another room, you won’t hear it. However, if someone is yelling above some decibel level, all of a sudden that’s as clear as if the noise cancelling is off. For me this is a huge deal. I can do undisturbed work in a bunch of places I couldn’t before. I can concentrate at the coffee shop and almost forget I’m there. Same goes for the kitchen bar where I’m normally distracted every few minutes by a video game sound or the like. I can already feel these adding tons of productivity to my life. Here’s a big bonus. When I get a call in a noisy environment, not only do I not hear the ambient noise around me, but neither does the caller. The NC technology also transfers to the mic used for speaking located in the ear piece. It feels weird being this far into the post and just getting to audio quality but here we are: No disappointments to be found! Bose has a reputation as a bass-heavy sound profile but I actually thought it was tempered well. There’s also great sound separation at all levels but especially at the mids that you’d expect in this price range. There are a few professional headsets in the $1000 and up range that might be noticeably better, but for $350 these are clearly at the top. Bose says you will get 10 hours of wireless and 20 hours of wired NC usage, and I think you can get pretty close to those numbers. On one occasion I managed to wear them all the way down in a day but that was extreme full wireless usage and I don’t think any wireless device would last that long. But that also means you’ll still need to charge on long haul flights if you want to go wireless the whole time. One thing I love here is that when the battery does wear down you can still use them (assuming you don’t have an iPhone 7) as an analog set of headphones with a 3.5mm aux cable – which isn’t the case for many powered headphones. Wearing these is an absolutely wonderful experience. They certainly aren’t heavy and losing the wire is always a great freedom. The QC35’s connect to both iOS and Android (faster via NFC) as well as Macs and PCs very quickly. When you power them on, a Siri voice tells you how much power is left in 10% increments and which devices you are paired to. These are nice because you can pair two or more devices at a time and switch between them. Bose has an iOS and Android app but it is mostly pointless. You can rename the headphones, control Bluetooth devices, see the power left and a few other small things. It is barely worth having. It’s not all gravy. Every once in a while the noise cancellation turns into a matrix-y high pitched micro-beep. It isn’t enough to kill the product for me but every 15 or so minutes I hear it…or maybe I’m going insane. Also, it is summer and the QC35s, like most headsets, are basically wearing luxurious faux leather ear-muffs. Therefore these aren’t great outside for work in the heat or doing any type of exercise. Inside w/AC or in cool weather? Lovely. 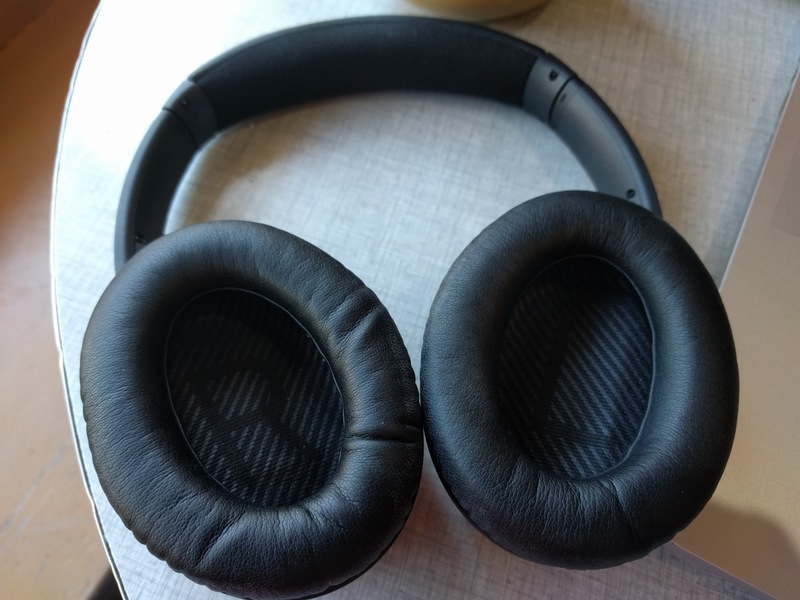 The overall build quality for a $350 set of headphones is solid but isn’t amazing. 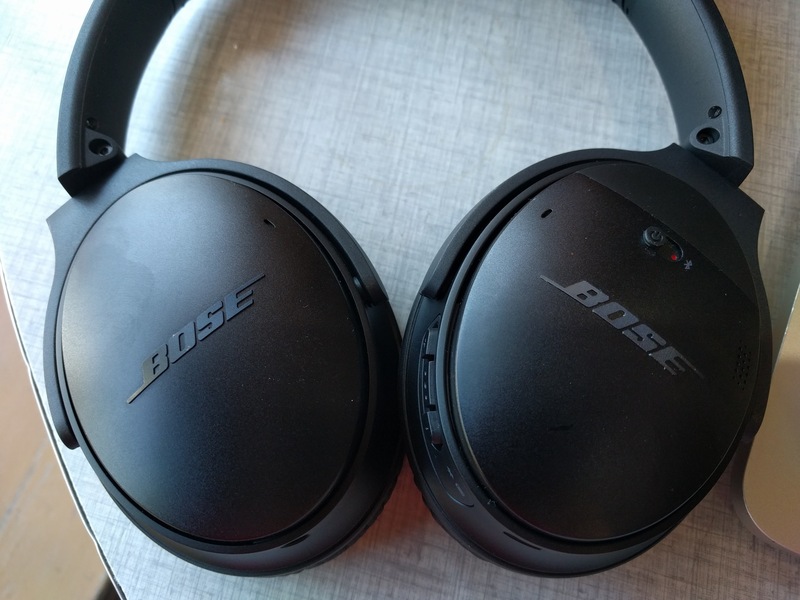 While they feel great on the head, which was the priority at Bose, they used plastic glass filled nylon to keep the weight down. It is good solid plastic and the buttons feel good but it doesn’t have the look and feel of a good set of B&Os or high end Sennheisers. The caveats here are small and the noise cancelling, wearability and sound quality are monster wins. I can wholeheartedly recommend these and just like Bose’s inexpensive SoundLink Mini Bluetooth speaker I think the company is coming downmarket with their high end technology. I expect this strategy to bring a lot of sales from people who more and more are working in noisy spaces like coffee shops, WeWork and other open office spaces and on the go. I already plan to buy new ones (silver next time) if/when Bose gets these loaners back. Grab them at Amazon for $349.